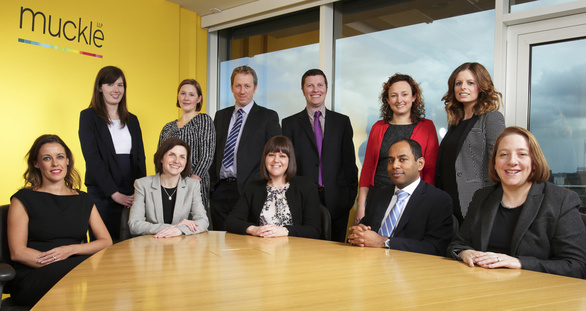 We are leading the way with the largest team of banking lawyers in the North East. The past few years have been challenging for law firms and this has required fresh thinking as businesses have adjusted in a continually changing economic climate. Over the past five years, however, we have more than doubled the size of our banking team and seen significant growth in the turnover of the group. Last year, the team saw 12% growth and anticipate similar growth once again this year. Partner and Head of the Banking and Restructuring team, Louise Duffy, said: “We’ve been growing organically over the past five years as we have gained market share. People have been recruited into the team and we have also promoted from within. As a result, we have expanded our offering with specialists covering many different areas, from property finance to business restructuring, financial services disputes and capital markets. “Our most recent recruit is senior associate, Nicola Nutley, who joined us from Bond Dickinson. It is great to add Nicola to our team. She is widely known in the region and has significant experience in the banking and finance sector. “Our lawyers continue to develop innovative solutions for clients, often incorporating complex financing techniques, which are becoming an integral part of what we do. In the past year, we completed high value transactions for a number of financial institutions and borrowers. Last year our team helped deliver the biggest float on the Alternative Investment Market (AIM) in the pharmaceutical and biotechnology sector for County-Durham-based Quantum Pharma plc. We also played a key role in helping Home Group, one of the UK’s largest affordable housing providers, secure a series of loans worth over £100m. Louise added: “Our growth has also seen us invest in the social housing sector with the appointment of registered provider specialist, Russell Hall, last year and we are already seeing further opportunities in that area. Recently promoted partner, Kevin Maloney, has witnessed increased opportunities in the general borrower market. Kevin, who has a strong track record in leading and managing transactions, was recently involved in helping set up a joint venture company between BEL Valves and Newcastle University as part of a £10m subsea engineering facility for the Newcastle quayside. Louise Duffy, added: “Double-digit growth is a considerable achievement for the team. The business environment is still challenging and we need constantly to focus on delivering an excellent service to all of our clients. For more information, help or advice on how our Banking team can help your business please contact Louise Duffy on 0191 211 7946 or email [email protected].